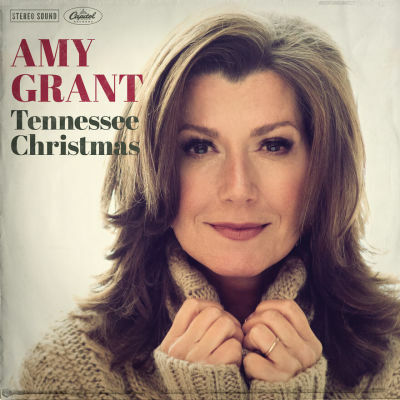 Someone who knows all too well what it’s like to be loved by some and hated by others in the faith-based community is Amy Grant. As of 2009, the six-time Grammy Award-winning Christian pioneer had sold more than 30 million albums worldwide. She has a star on the Hollywood Walk of Fame and was the first to ever release a Christian album that went platinum. As her success increased throughout the decades, so did the attention she received from secular society. In 1985, the Grammy Awards invited Grant to perform on the main stage as an opportunity to reach the masses with her “hopeful” message. While Grant noticeably enjoyed her time performing at the awards show, she received backlash from some evangelicals who felt her dance moves, clothes and bare feet were inappropriate. But it was her 1991 love song "Baby, Baby" that skyrocketed her career into pop superstardom. As a result, "Baby, Baby” was featured in secular movies such as "Harold & Kumar go to White Castle," and "Mr. & Mrs. Smith," while some of her other songs made appearances in "Honeymoon in Vegas," "The Karate Kid II" and "The Postman." Amid the success of “Baby Baby,” the publication Christianity Today criticized Grant's 10th album, Behind the Eyes, for its ''complete absence of explicitly Christian lyrical content.'' As a result, The Gospel Music Association’s Dove Awards decided to come up with content requirements for their nominees. Things really changed for the “queen” of Christian music when radio stations refused to play her songs following her divorce from musician Gary Chapman in 1999. Her being blackballed came amid speculation that she stepped out of her marriage to be in a relationship with Country singer Vince Gill, whom she married soon after and is still married to today. ''My whole life as I had known it was unearthed, mostly by my own hand,'' Grant told The New York Times in a 2002 interview, hoping then to reconnect with her Christian audience by releasing an album of hymns, Legacy . . . Hymns and Faith. Since then, Grant has reconnected with her Christian audience. In 2010 her hit, “Better than a Hallelujah,” was a massive success on Christian radio. And in 2013, Grant was invited to host the Dove Awards.